Date of publication: 18 May 2014 . In 2013 was now a Dutch IKEA crossed very honorable age limit in 70 years. One can not but agree with what has been done in such an impressive period of many. Just recently, IKEA decided to sum up his long-term kind of productive activity and to open museum. By the way, today the group has a turnover of more than 27 billion euros 349 operates stores in countries around the world, and the 139 000 people make up the staff of the concern. The selected site for the future museum is symbolic. It is supposed to use the first shop IKEA, which was opened in 1943, in southern Sweden in the city Elmhyulte. The shop itself in 2012 year took a new building and a vacant building 3,5 thousand square meters, it was decided to repair and pay for museum purposes. The amount that is expected to invest in such an ambitious project has not been disclosed. It is only known that the opening of the museum is planned for the year 2015. 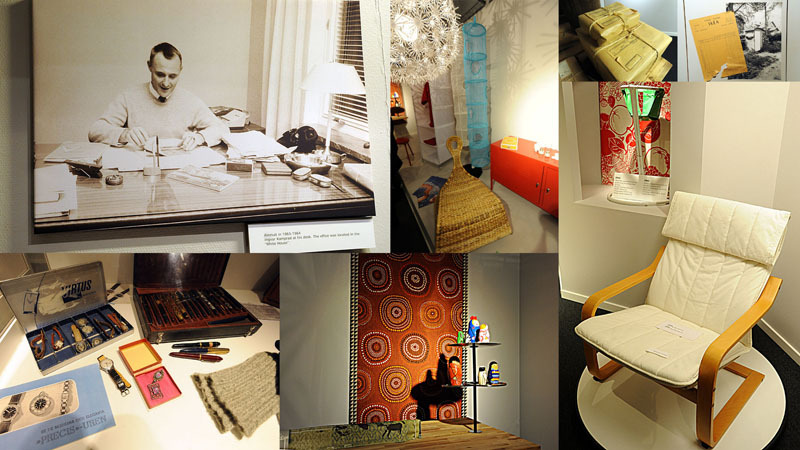 Visitors can see the unique of its kind exhibits, Tells the story of IKEA in 70 years long. It is logical that the main role in the museum will be given to items of furniture, which was made from the very inception of the company until today. All wishing to personally track changes in design concepts, characteristic for different periods of time. Also lift the veil of ideas in the company's management over history formation and development of IKEA as a business. Do not bypass the museum and the key figures of people who took part in the fate of the group. According to Michelle Acuna, director of the future museum, visitors will be given the opportunity to interactively explore. The company management laid attendance museum in the amount of 200 000 people a year. However, in contrast to such optimistic plans were already skeptical about the statement that the idea will not bring the desired results. The very same ikeevsky Museum joins the ranks of the most boring places akin to a museum in France wallpaper or hair in Turkey. We hope that IKEA with its inherent creativity develop doubts about their new endeavor to the nines.